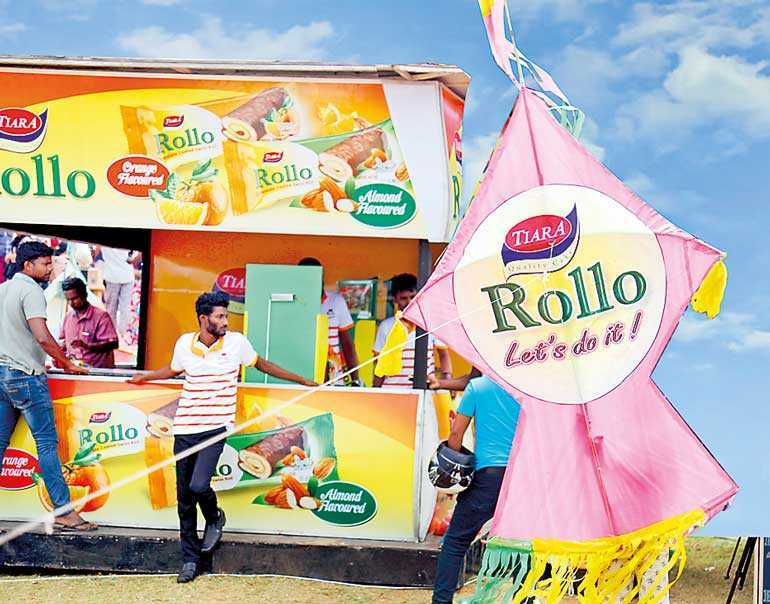 Tiara Rollo, marketed by Ceylon Biscuits Ltd. (CBL) added colour to the Derana International Kite Festival held recently with the launch of two new delightful flavours. The extremely popular Tiara Rollo as a single-serving mini Swiss roll with a chocolate coating and jam centre now offers consumers, new tasty variants of orange and almond flavours. Meeting the changing needs of today’s busy lifestyles Tiara Rollo’s new variants offers the perfectly portioned indulgent treat and an ideal any-time snack. Launching the two new distinct flavours of the well-known product provides consumers with more choice under a much-loved brand. As an energetic, trendy, versatile brand Tiara Rollo’s new orange and almond flavours will also appeal to younger customers and a new generation of cake enthusiasts. Tiara Rollo’s catchy tag theme ‘Let’s do it!’ fits perfectly in line for its growing younger audience. As a sponsor of this year’s Kite Festival, visitors to the Tiara Rollo promotional area were able to sample the delicious new portion cakes, participate in interactive games and puzzles, capture the fun moments at a photo booth and dance to music. With an audience of over 200,000 in attendance at the Kite Festival held at Galle Face Green, the launch of the new flavours was also telecast live via TV Channel Derana. Tiara Rollo also helped decorate the skies with the launch of three attractive branded kites. Harnessing the popularity of Tiara, these new delightful variants are wonderfully light and as 30g portion cakes can be enjoyed anywhere, even consumed as a snack in between meals. Launched in 2006 with only strawberry flavour, Tiara was the first south Asian manufacturing company to produce portion cakes with air tight pillow packs.